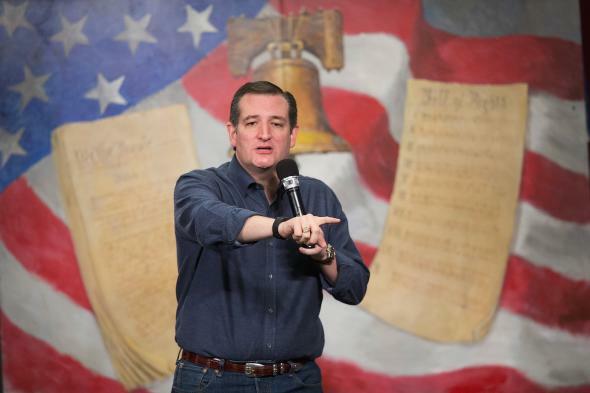 Ted Cruz says he doesn't have health insurance. Congratulations, Ted Cruz! Sen. Ted Cruz speaks to guests at the 2016 South Carolina Tea Party Coalition Convention on Jan. 16, 2016, in Myrtle Beach, South Carolina. Cruz explained that he had purchased an individual policy and that Blue Cross and Blue Shield of Texas had canceled all of its individual policies in Texas, effective Dec. 31. On a strictly literal level, Cruz seems to be probably telling the truth. Blue Cross Blue Shield of Texas did cancel all its individual PPOs this year because of rising costs, although it does still offer HMO plans. And the wider phenomenon of PPO cancellation is a real issue with the Affordable Care Act; you can read more about why it’s happening here. On the other hand, guhhhhhh. Ted Cruz could have easily gotten continuing health insurance coverage through the Washington, D.C., exchange like 13,000 other congressional representatives and staffers do. He also happens to be a wealthy corporate lawyer whose wife is an executive at Goldman Sachs, from which the family has a line of credit. * If he needs to pay for an appointment out of pocket, he’ll be able to, and if he needs emergency care, he’ll get it because emergency care is guaranteed even to the indigent by a law signed by Ronald Reagan. The reason Cruz went on the Blue Cross Texas plan in the first place, incidentally, is because his wife took leave from Goldman, through which the family had previously gotten coverage. So, yeah, classic relatable situation for “millions of Americans” here—getting a new insurance plan because your wife went on leave from Goldman Sachs so you could run for president on a platform of repealing the law that, although it is clearly not perfect, has been responsible for a historic decline in the number of uninsured Americans. Classic! You just can’t stop a woman from nagging her husband (when he brags about having failed to purchase health insurance despite having a net worth of $3 million). Correction, Jan. 28, 2016: This post originally misidentified Cruz as a former lobbyist. Though he worked for firms that engaged in lobbying, he was employed by those firms as an appellate attorney.